Toronto, ON — Entrepreneurs, investors, alumni, students and a panel of seasoned judges gathered at the Cisco Toronto Innovation Centre on Tuesday, November 29th for the Queen’s Venture Network’s 2nd annual UPstart competition finals. UPstart is a business pitch competition that accelerates entrepreneurship and provides alumni and students the opportunity to present creative business plans to a panel of experienced judges. On Tuesday, the judges were presented with eight exceptional pitches. 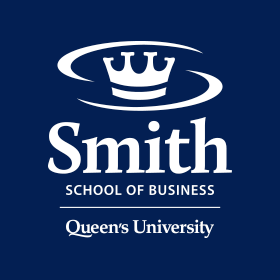 Awarding a total of $25,000, two Smith alumni took home the prizes; $1,000 was awarded to Twiage, co-founded by CQEMBA’15 grad John Hui, and $24,000 awarded to team Ioffe Biotechnologies, founded by Altair Ioffe, current MBA student and GDB’15 alumnus. Twiage has created a communication tool for emergency medicine, while Ioffe Biotechnologies is a life-science start-up dedicated to optimizing human performance. To learn more about the UPstart intiative, and a full list of judge biographies, please visit the website.